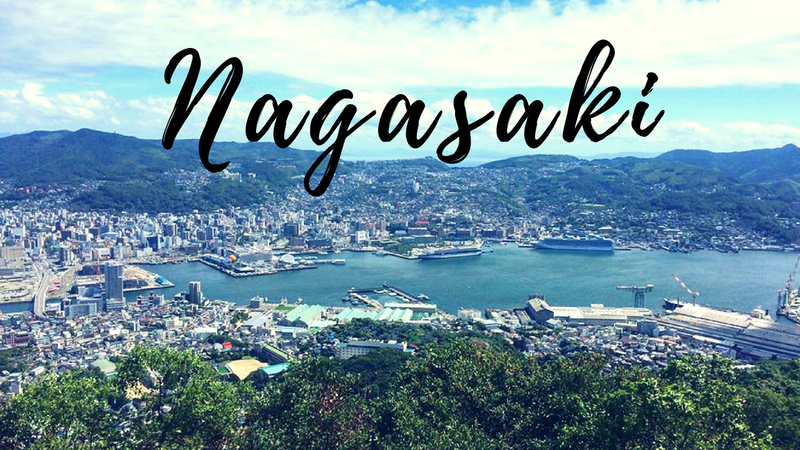 Nagasaki is 2 hours by train to the South West of Fukuoka. Because of the long travelling hours, I had to wake up around 6:30 in the morning to catch the train. The chairs were really big and made of leather so the journey was like first class comfort. I didn’t spend any money on this ride because I purchased the North Kyushu Rail Pass in advance. Without the rail pass it’s about 5000 yen one way (The rail pass is just 8,500 yen) so it’s well worth it. Along the way we passed by a lot of beautiful mountains and farmlands. I got off at 1 station early which is Urakami to see some of the historic sites from World War II. First I head to Sanno Shrine. All that remains of this shrine is the right pillar of the gate. We still don’t know why only that part is standing, without a crack and it split right down the middle. After that I head to the Nagasaki Atomic Bomb Museum. It was only around 200 yen to enter, but the museum was pretty amazing. You’d be worried that these types of museums would be colored by politics, however I found it really informative. It started out with some historical information, and then the scientific explanation of the effects of an atomic bomb on people, buildings, crops etc. 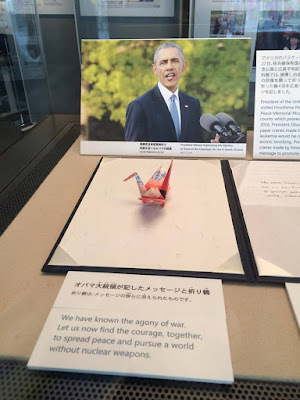 At the last area there were also some information on the reactions after the bomb and any peace agreements that are signed or current day updates on atomic bomb drop tests. Just down the hill from the museum is the Atomic Bomb drop site. The middle stands a memorial statue to mourn those who lost their lives. It is really a tragedy, and this is one of the more impactful museums I’ve been to. I would definitely recommend it to anyone going to Nagasaki. After that I took the tram near the Nagasaki Ropeway. I had no idea the Nagasaki tram did not take any smart cards! I stood there looking like an idiot while a line of people waited behind me. So I just stepped off, read the signs and then took the next train. I lost my pre-loaded google maps, which is a disaster because I have no idea where I was. But luckily, Nagasaki City has wifi in a lot of public places, so I just connected to it and reloaded the map of the area. 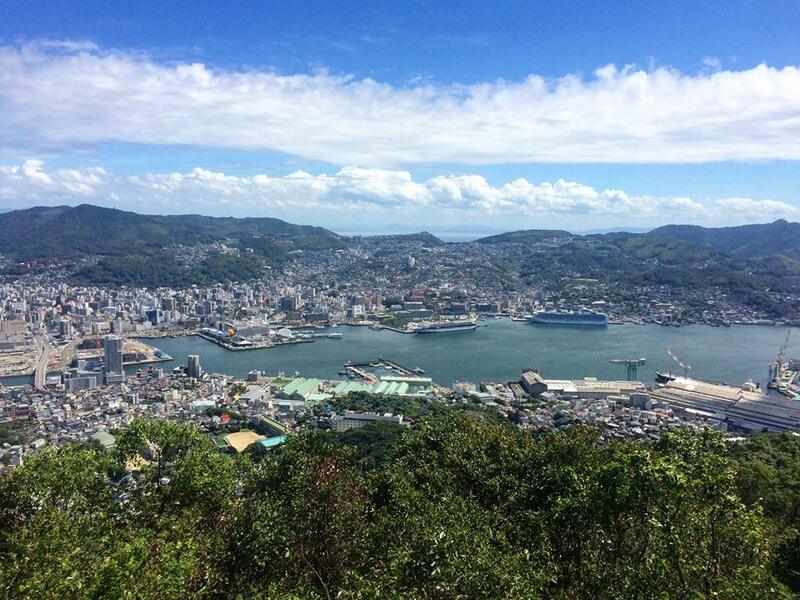 Originally I thought the Nagasaki Ropeway up Mt. Inasa is similar to the Mt. Moiwa in Sapporo or Mount Tengu in Otaru. Both those mountains offer a short 1hour – 2hour hike up to the upper Ropeway station. This means I can hike up and then take the Ropeway back down. 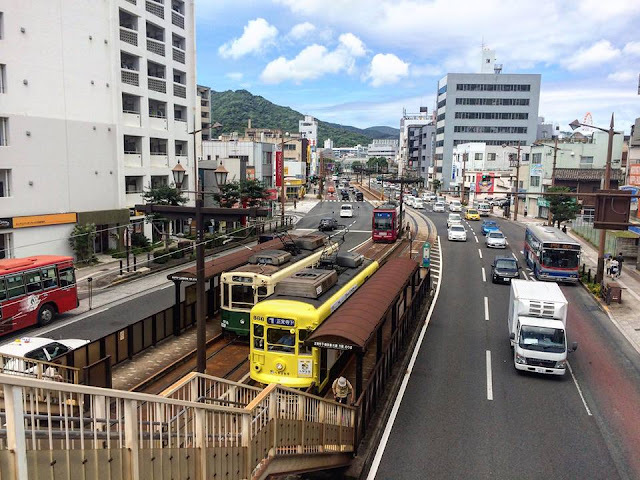 I was confused for a while, but later figured that the only way up to the Nagasaki Ropeway top station is via a concrete road, which is not a pleasant hike. I ended up taking the ropeway both ways. Apparently the Nagasaki night view is the new Top 3 best night views in the world along with Hong Kong and Morocco. I saw it in day time so I couldn’t judge, but still during the day time it was pretty nice! You can see large cruises parked in the harbor and the city is massive and bustling with life. It’s hard to imagine there was once an atomic bomb dropped here. At the foot of the Nagasaki ropeway is Fuchi Shrine. It’s a quiet little shrine, and looks a bit old. But there’s also some Omikuji you can get from that shrine. After I got back down Mt. Inasa, I took a tram to go to Chinatown. The whole area of Chinatown was maybe a few streets, but filled with Chinese tourists. It’s pretty hilarious that Chinese tourists would leave their hometown to see more of China there. But I’ll admit the MidAutumn lantern decorations were really pretty. 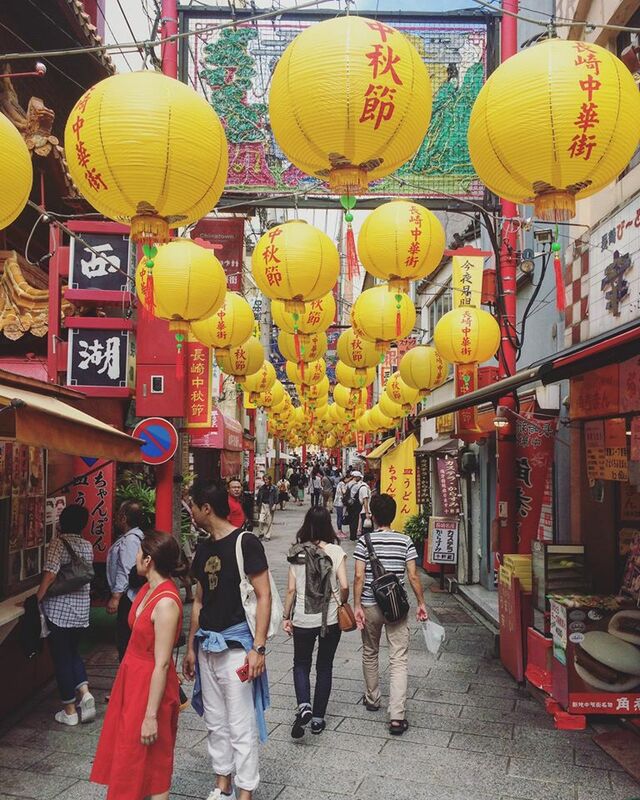 I had some lunch in that area and then proceeded to one of the main attractions of the afternoon – Dejima. During a period where Japan had closed political and trade policies, Nagasaki was one of the only ports still opened for foreign trade. There is an area called Dejima (literally translated, exit island) where the Dutch had a settlement. It has been rebuilt, but it’s like a real life museum that takes you to the past. They exhibit many cultural and historical artifacts that showed how foreigners and the Japanese interacted in the past. In Dejima you can also rent a Kimono to wear for an hour, half a day, or whole day for an experience. Though I would say you don’t need more than 1-2 hours inside Dejima to see everything. Last stop before heading back to Fukuoka, I took the tram to Suwa Shrine. It reminded me a little bit of Miyajidake in Fukuma. Maybe that is the style of shrines common in the Kyushu area? The grounds of Suwa Shrine was big, and it also had a Fushimi Shrine within it. I took a late afternoon train back to Hakata. By the time I got to Nagasaki Station it was raining already. I was so exhausted I fell asleep for most of the journey. By the time I woke up, it was dark outside, the train was full of passengers and I was back in Fukuoka! I wandered around in the Tenjin underground area, got some curry takeaway then went to bed early again. Tomorrow will be a half day trip in Kumamoto via the Shinkansen! Tomorrow is the last day in Kyushu Region. 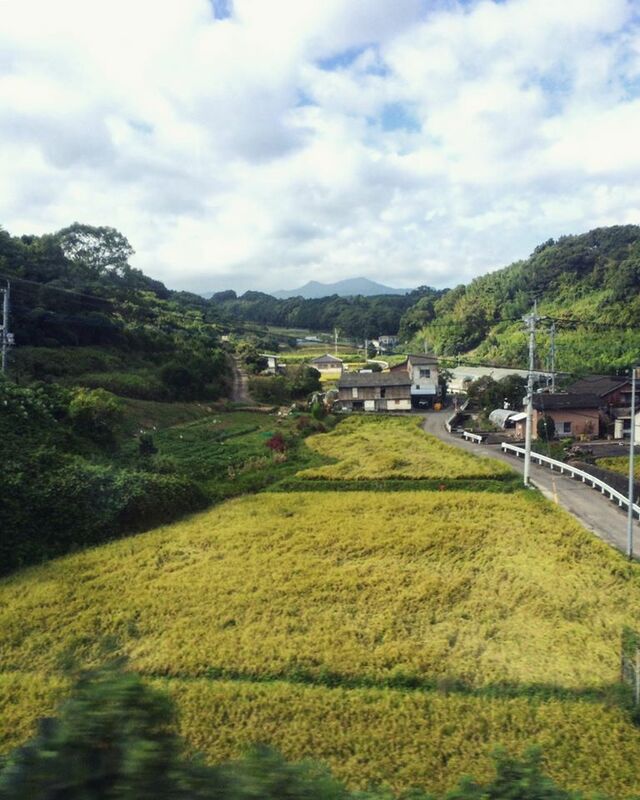 I head off to Kumamoto via the Shinkansen to see Kumamon!